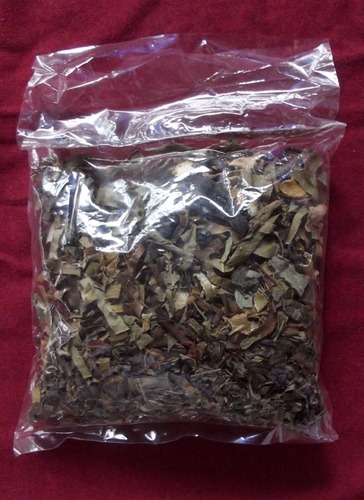 Rare and Powerful sacred Herbs, Woods and Leaves used in Thai Occult and Buddhist Holy Water Blessings. Empowered with the proper Incantations to Invoke the necessary Powers of the Sorcery within the Herbs by Pra Ajarn Oe Putto Raksa, one of Thailands Current Top masters of Khmer and Lanna Sorcery. Add the ‘Wan’ (Sacred Herbs) to the water in your Holy Water Bowl, and use to spray People or Objects. Use to cast out Evil Spirits, Demons and Ghosts, To Bless the Wares in your Store, spray over the heads of your Friends, family or Apprentice Students (if you are an Ajarn), to Protect, change Horoscope to Auspicious Lucky Blessings, and Increase Prosperity. 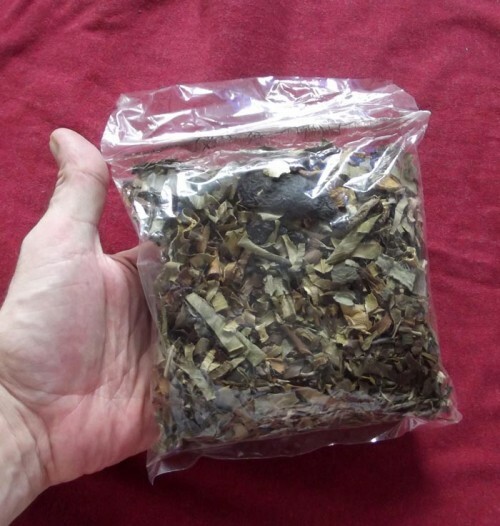 A vast number of rare and powerful herbs were used in this Potion, including; Bai Ngern (silver leaf), Bai Tong (gold leaf), Bai Hmak Phu Hmak Mia (male and female variety), Bai Taraniyasarn, Ba Plab Preung, Bai Mayom, Bai Makam, Bai Koon, Bai Yor, Bai Hnaad, Phiw Makrut, Fhak Som Bploi, and Bai Goson, to name but a few. The Incense (5) are for Buddha, the candles (2 white) are for the Dhamma, and the flowers are for the Sangha. Say Some Buddhist prayers and make prostrations to Buddha, and then use the water to spray as a blessing.